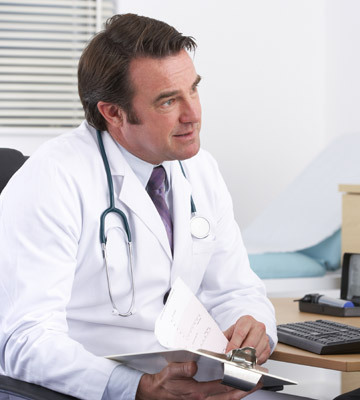 Below is a list of some of the major testosterone deficiency causes. In other words, we are sharing the reasons that testosterone levels will dip within the system and hence, cause some very unpleasant symptoms. We will discuss aging, poor food intake, lack of Vitamin D, lack of exercise, sleep deprivation and stress. Growing older is one sure way to lose testosterone within your system. As a person ages, all systems and organs start to slow. This happens innately in all males and females and there is nothing that anyone can do to stop it. This will include the slowing of testosterone within testicles (in men) and in the ovaries (in women). Some testosterone is produced in the adrenal glands and those slow down as the years pass as well. Testosterone replacement therapy (TRT) is the innovative therapy that people across the US are participating in that supplements and replaces the body of this lost hormone. With safe and legal injectable, bio-identical testosterone medications, the body can become balanced with testosterone at just the right levels for each individual to help them feel healthy, happy and strong. People often hear that you are what you eat. They usually dismiss this very common clique, but it is true and attention should be paid to it. The foods that you put into your body can definitely have a bearing on what causes testosterone deficiency. Avoid these foods in great quantities in order to keep testosterone from declining faster than normal. Studies have also shared that these following foods will lower testosterone by way of increasing the activity of aromatase. Aromatase is an enzyme that converts testosterone into estrogen. This in return will lower testosterone levels. We are not saying to not eat these foods, but everything in moderation is the safest way to go. All of these foods have been clinically proven in scientific studies to suppress testosterone deficiency cause & affect. These healthy foods are important to eat; however, do not eat them in great quantities if you want to avoid low T.
Avoiding the foods mentioned below can lend a huge hand in the causes for testosterone deficiency. One should make sure to get plenty of them in their diet on a daily basis to slow low T and to keep healthy overall. These are great foods to eat to help slow the depletion of testosterone levels and to even help this hormone to naturally increase. These foods also add to one’s nutritionally balanced diet in general with necessary vitamins and minerals. Vitamin D is linked to testosterone production. A lack of this important nutrient will not help the declining hormone to stay steady or to increase. Lack of exercise is certainly one of causes of testosterone deficiency. What does exercise do for testosterone levels? There are many different kinds of exercise routines that can build muscle, burn calories and increase testosterone levels. They mostly involve beginning with a warm up of jumping jacks, high knees and jogging in place. These are all exercises that either those who work out regularly will know how to do or you can ask your trainer at the gym what they are and how to do them. Not all lay people will understand the terminology used here, but the idea is heavy lifting in short sets can lead to an increase in testosterone levels. What is interesting about sleep is that lack of it can cause a testosterone deficiency and a testosterone deficiency can cause the inability to sleep. It is a vicious cycle that needs to be broken for optimal health to be possible. It is recommended that the average person who wishes to maintain good health gets at the minimum, eight hours of sleep per night. Lack of slumber one of the main testosterone deficiency causes. An article published in the Journal of the American Medical Association demonstrated the link between lack of sleep and low T. They purposely kept healthy young men from sleeping to see how this would affect their testosterone levels and if lack of sleep could be one of the causes for testosterone deficiency. It was. Men with sleep apnea were twice as likely to have low T then men without this condition, according to a study that was presented at the American Urological meeting. What was discovered through studies was that REM, undisturbed, deep and restful sleep can help with the production of testosterone. When this sleep is missing, the stress hormone called cortisone will increase, which directly affects the amount of testosterone produced. The stress hormone cortisol plays a very vital role as one of the major testosterone deficiency causes. When a person is under a lot of stress, anxiety or tension, this hormone, cortisol is released. The University of Texas at Austin joined with the University of Oregon to conduct research that demonstrated the importance of regulating both cortisol and testosterone for good health. Why? If they are not balanced they will work against each other. How? Stress produces cortisol which blocks the production of testosterone; hence enough stress can lead to low T. The study linked high stress to low T and then infertility, low sexual drive, waning muscles and fatigue. It can cause irregular menstrual cycles in women. If stress levels decrease, this can cause an immediate fix to the problems that high cortisol levels cause.